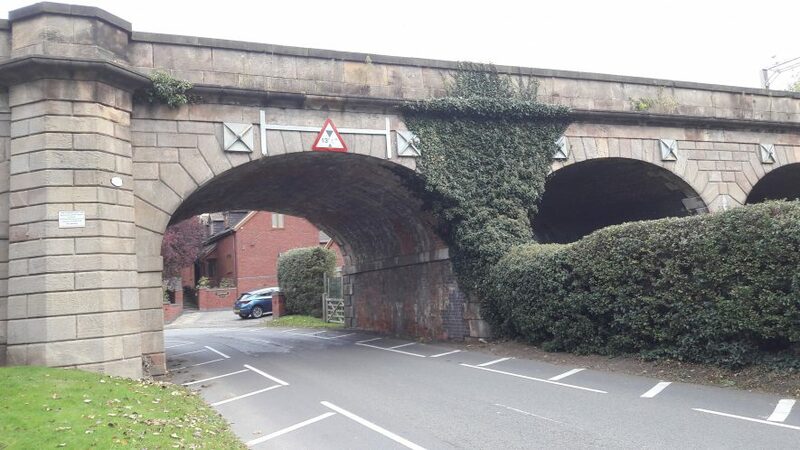 Avon Viaduct, a railway viaduct that was built during the Imperial period. It is situated to the south of Brandon. 1 This is located off Willenhall Lane, Brandon. A Bourne print shows a 15 fine arch masonry viaduct with nine wide elliptically headed arches. Flanked by battlemented buttresses and 3 tall narrow arches terminated by further short battlemented buttresses. The view today is somewhat different – there seems to have been some encasing of some of the arches by embankment though the rusticated masonry is still very evident. Findspot - various finds of Post Medieval or Imperial date were found to the north east of Tollbar end. The finds included a bronze weight, a bronze ring and a fragment of a shoe buckle. Findspot - vatious finds of Post Medieval date, including a shoe buckle and a coin, were found in the area of Brandon Lane. A group of 5 fields adjacent to Old Hare covert, which is located to the to south of Brandons Grounds Farm, show cropmark evidence of ridge and furrow ploughing on aerial photographs. Three Bronze Age burials are recorded as being found 600m north west of Brandon Castle. The burials may have been concealed within a round barrow. A ring ditch of Neolithic or Bronze Age date is visible as a cropmark on aerial photographs. It is situated 1km south of Bretford. A mound approximately 30m in diameter can be seen on aerial photographs 200m to the north west of Fosse Farm. The site of a possible round barrow, a mound usually built to conceal a burial. The barrow would date to the Bronze Age. The site is located on Lammas Hill. The results of an excavation in the 1950s concluded that it was actually a windmill mound. Documentary evidence suggests that this is the site of a Post Medieval bridge called Fines Bridge. The present brick bridge is undated and has been altered since construction. It crosses the River Leam 100m northeast of St Peter's Church at Grandborough. 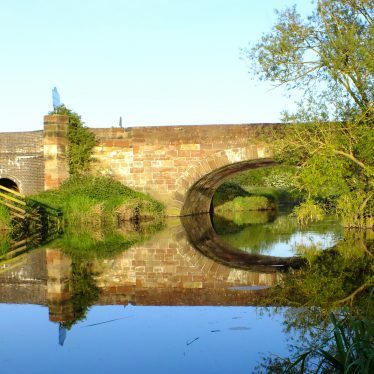 Fieldon Bridge, a bridge which may be Medieval in origin. The present stone structure, which is of unknown date, is situated on Atherstone Road. Binton Bridge which was built during the Imperial period. It may have replaced an earlier bridge. The bridge is situated on Binton Road. The remains of a packhorse bridge which dates to the Medieval/Post Medieval period. It was situated 400m east of the church at Butlers Marston. 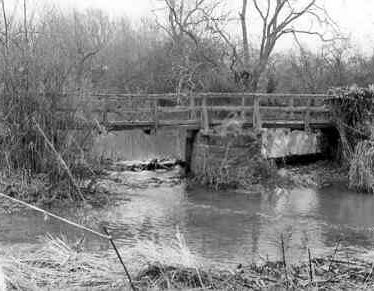 The present bridge is a footbridge with oak planks on stone butresses.